So here is the finished pastel digital “painting” of the very beautiful Raphaella. The photograph (which inspired this “painting”) was taken at the first of our studio sessions when we concentrated on “Degas like” poses, which Raphaella reproduced with extraordinary ease. 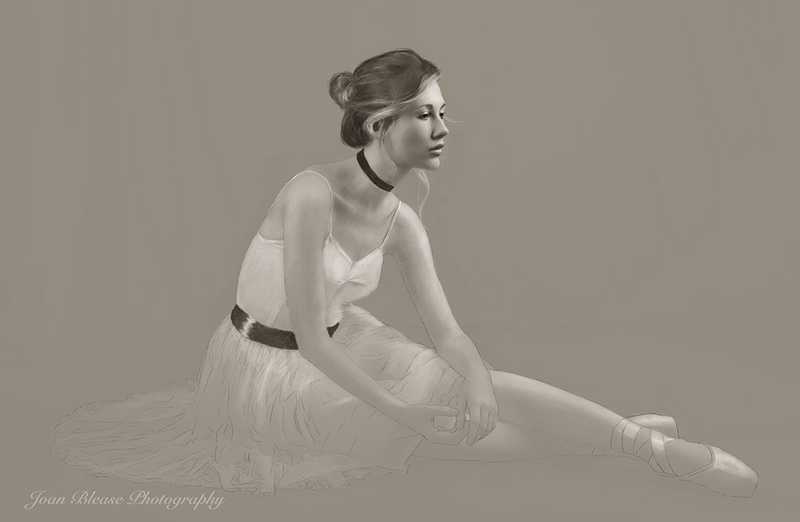 I have quite number of photographs from that particular ballet shoot and I can’t wait to get started on a series of Degas inspired ballet pastel “paintings”. May I take this opportunity of thanking everyone who’ve contacted me about my work over the last 12 months – your words of encouragement are very much appreciated. I would also like to say a special thank you to everyone who has attended one of the workshops that I arranged (or was involved with) – again, much appreciated. May I wish you all a very Happy Christmas and a Peaceful and Joyous 2016.